Matt’s career began in the SA Navy in 1992 where he gained experience through photographic and press assignments for the Navy News Publication. 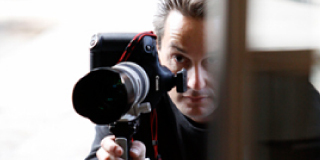 He then acquired a National Diploma in Photography, specialising in the fields of advertising and digital photography. After gaining extensive experience, Matt started his business in Cape Town where it has grown it into the success it is today. He is a highly skilled and versatile photographer which, coupled with his incredible artistic talent, professionalism and easy-going personality, has made him a pleasure to work with and an asset to many. © Matt Stow Photography 2011. All rights reserved.